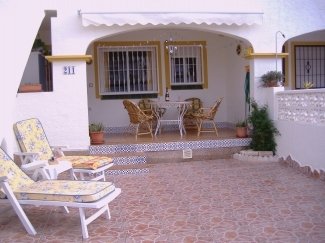 Gran Alacant enjoys an elevated position overlooking the beautiful Costa Blanca coast and just 10 minutes drive from Alicante Airport(not on the flight path). 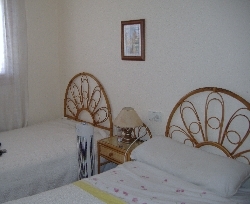 The Spanish fishing village of Santa Pola is just 10 mins. and Alicante City 15 mins. TRANSPORT: Although a car is an advantage to easily access beautiful inland areas of "real" Spain, the local and regional transport system is very good. Gran Alacant now has a road train which operates a circular route hourly, covering all main areas and beach. 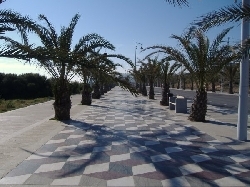 The local buses provide a good service to both Santa Pola and Alicante. 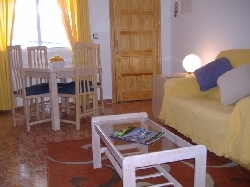 From Alicante all areas of Costa Blanca can be accessed by bus, train, tram or boat. Many coach trips are available from Gran Alicant. 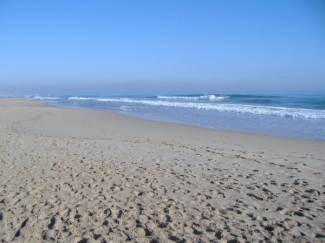 ACTIVITIES: Many lovely blue flag beaches are close by and the nearest beaches at Arenales del Sol (with restaurants, shops and bars) and Carabassi (very natural and unspoilt with the chance to get an all over tan) are both a pleasant walk or 5 minute drive away. Water sports of all kinds are available from many beaches on this stretch of coast and for Scuba or Snorkel fans a short boat trip from Santa Pola to Tabarca Island is a must. Parascending can be arranged from the local lighthouse. 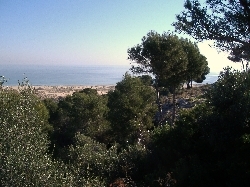 This part of the Costa Blanca has some of the best Golf Courses in Spain and Banalba and El Plantio are about 20mins drive away. Walking, cycling and horse riding are also very popular. Alicante is an historic and cultural centre dominated by the famous Santa Barbara Castle and has excellent shopping, a world class marina, great retaurants and nightlife. 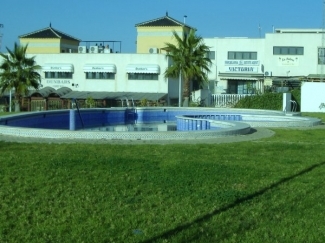 PROPERTY: In Altomar 11 urbanisation which boasts three landscaped pools, shops, bars and restaurants. 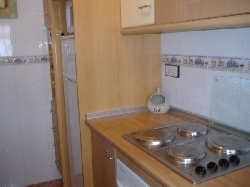 It is ground floor and South facing, providing a sheltered suntrap on the quietest road of the urbanisation with easy parking and adjoining the neighbouring Spanish residential complex. Garden: 2 Sunbeds, bbq and awning for shade. Patio: Furnished for outdoor dining. cabinets. In Twin a safe and hairdryer. Bathroom: Includes bath/shower. Heated towel rail. Opposite the urbanisation is Gran Alacant Tourist Office, Health Centre and International Library offering free internet access. WE ARE NOW FULLY BOOKED FOR THIS SUMMER. Flexible arrival days. Short break rates on request. Price=Apartment NOT per person. 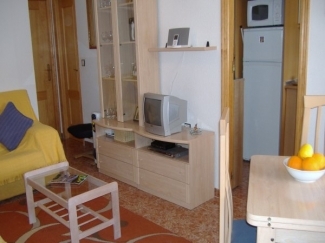 Linen(No Beach/Sunbed Towels provided), TV, Safe included.